"The Netherlands most renowned studio near Amsterdam"
Wisseloord Studios is a legendary facility; newly renovated and transformed, it is a place to be inspired by its rich musical history while enjoying the power and efficiency of advanced modern technology. Wisseloord is a professional studio facility located in Hilversum, the media capital of The Netherlands, just 25 minutes from Amsterdam, tucked away in a lush, green neighborhood. 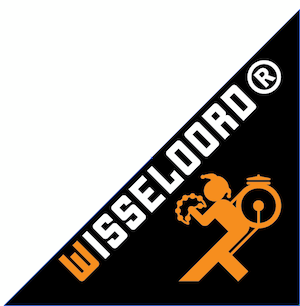 Built in 1978, Wisseloord has a rich, celebrated history in the music business, and since 2012, it now houses the advanced technology and aesthetic that takes it into the future. Wisseloord has been more than just renovated; it has been transformed. The old soul of Wisseloord still remains - the relaxed atmosphere and the vintage vibe. Our historic studios have been refitted from literally the ground up - new foundations, isolation, power, acoustics, cabling, consoles, monitor The Wisseloord Studio is a recording studio in Hilversum, Netherlands. It was officially opened on 19 January 1978 by Prince Claus. The studios were founded by electronics company Philips, to enable their PolyGram artists to record in a professional environment. Initially there were three studios, nowadays there are five. systems. No detail has been overlooked. In the early days the studios were mainly used by Dutch artists. Later, international musicians such as Elton John, Scorpions, Orchestral Manoeuvres In The Dark, Def Leppard, Iron Maiden, Tina Turner, U2, Afrojack, Firebeatz, Chris Brown and Snoop Dogg have used the facilities. A major refit of the studios began in 2010 and Wisseloord got back to life in 2012. In 2016, Wisseloord took a new turn under the creative lead of french music producer Malik Berrabah with the launch of the Wisseloord House of Music, a publishing company and a production company investing in talent development together with various national and international labels.